These days it is common that DBAs are required to work on different databases located at various geographical locations. DBAs can connect to their servers using various protocols like telnet, ssh etc etc. but they are usually command line tools what if u want to work on the server in GUI mode. Heres comes VNC in this situation i m not goin into details what VNC is u can easily find info on google or wikipedia. 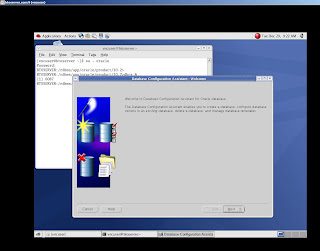 Just basic info for this setup you are required two components VNC Server and VNC Viewer. 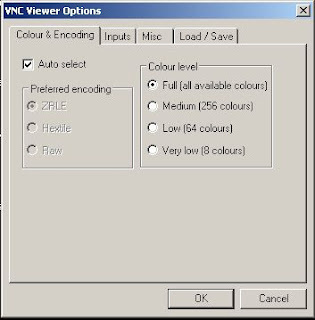 In this post i m going to show how to setup a VNC Server on Linux Machine and running viewer on windows. 2. Log on to Linux Machine using root and create seperate user and group for VNC. 3. Install the rpm package on Linux machine which will become your VNC server. Note: ":9 means that VNC server will listen to Port Number 5909 u can use any number depends on your settings port will always be 5900 plus"
This command will ask for password as well. if everything looks good then move to the viewer setup. 7. Run the downloaded viewer file from Windows client. Any comments suggestions are welcome.